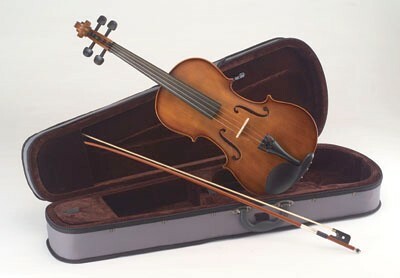 Our violin outfits are produced from quality woods and are an excellent violin at an affordable price. They come as a complete outfit with violin, bow, rosin and styrofoam case. The Carlo Giordano range of string instruments are superbly crafted using only the highest quality woods. 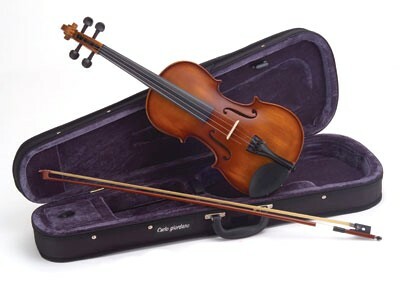 This viola is an exceelent student violin at an affordable price. Complete and ready to play. This is our range of quality stringed instruments, excellent for students wishing to take up the violin or viola. These instruments are produced from the highest quality woods and are suitable for grades one to four. The violins and violas and manufactured with solid spruce top with maple back and sides.